Think only the high rollers have fun in Vegas? Think again. 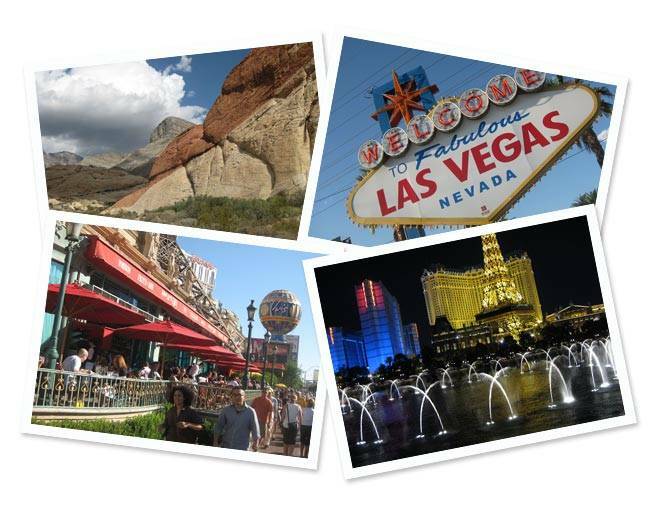 In this, the final installment of Hank’s Vegas 101, I’ll show you how to spend five G-rated (and great) days in Vegas without spending a fortune. Take the FREE shuttle from Paris (temporarily relocated to Bally’s during construction) to Rio. Enjoy Happy Hour and the view at the Rio VooDoo ‘Rooftop’ Lounge, before the cover charge. Have dinner at The Village Seafood Buffet, which may be the priciest-but possibly the best-followed by the FREE ‘Show in the Sky’ at Rio. Need more? Taxi to the Freemont Street Experience to see their FREE Famous Light Canopy & Street Entertainment and ‘open air’ Neon Museum. Watch the show with $2 Coronas or beverage of choice from Sam Boyd’s Freemont. Start the day at La Salsa Cantina (PH Miracle Mile Shops), with their complete breakfast and Bloody Mary special for under $5. 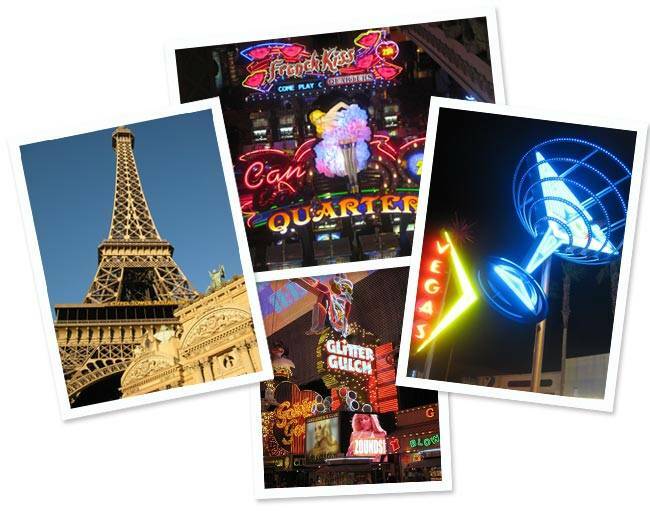 Walk the Strip, sample a few of the casinos’ atmosphere, clientele, activity and noise level. 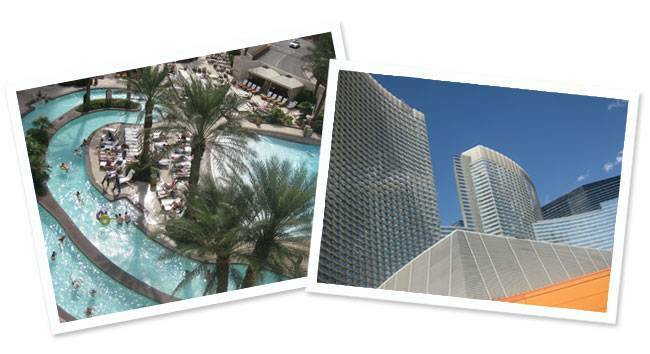 Since you are already there, start with Planet Hollywood. Keep in mind, visiting more than 3 casinos per day would exhaust an athlete. Consider buying a 24-hour Pass on the ‘Deuce’ bus to get up & down the Strip. Visit the FREE Lion Habitat at MGM Grand, or if you prefer, cool down with some gelato followed by shopping or a gondola ride at The Venetian. Another option is a visit to the Wynn Encore for tour and drinks overlooking their magnificent Golf Course. Enjoy a festive dinner break at Jimmy Buffet’s Margaritaville … familiar, and always a party. Afterwards, see the FREE “Sirens” show at Treasure Island or “Volcano” show at the Mirage. Need more? How about “The Roller Coaster” on the roof at New York-New York (very cool at night) before a sing-a-long at The Bar at Times Square’s “Dueling Piano Bar” or check out any one of many nightclubs. Last visit, it was The Foundation Room, top floor in Mandalay Bay. Some clubs offer “front of the line” passes, open bar, and various VIP bottle and table packages. It’s safe to say-nothing compares to a private party in Vegas. Go for it: With the “Buffet of Buffets” All Day Pass, you can feast at seven of Las Vegas’ buffets for just $39.99/pp with Total Rewards Card. Consider Breakfast at Le Village Buffet, Paris, Las Vegas. Visit the Conservatory at the Bellagio for their seasonal display and a little gambling then take the FREE shuttle to visit the NEW Aria Resort & Casino for a tour and more gambling. For lunch-and yet more gambling-it’s the Spice Market Buffet, Planet Hollywood. Afterwards, step inside Bill’s Gamblin’ Hall & Saloon casino bar for their ‘Fat Elvis’ show and enjoy .99 Top Shelf Frozen Margaritas. Small, but you have two hands don’t you? Afternoon “Quickies”: See trademark Flamingos at the FREE “Wildlife Habitat at the Flamingo” on the way the Imperial Palace, where you can play cards with Shakira (or at least a good look-alike) and stay for their Celebrity Look-ALike Dealers’ performance. Day 4: Get Out of Town. Day 5: Say Goodbye to Vegas in a Big Way. It has to be breakfast at Ocean One Bar & Grille followed by shopping at PH Miracle Mile Shops and a morning walk down the Strip either before or after gambling at the casino(s) of your choice. Enjoy a fine dinner and a show. Last visit, my wife and I enjoyed Bradley Ogden ($$ – it’s your last night, you deserve it), and a show at the Coliseum, Caesars Palace. Take a final night stroll down the Strip and romantic last peek at the Fountains at Bellagio before turning in. Then it’s ‘The Parties Over’ Breakfast -Viva McDonalds (take out) and back to the room to pack. The list barely scratches the surface of all there is to see and do, and of course, you’re in ‘Vegas Baby’… so make it your own. 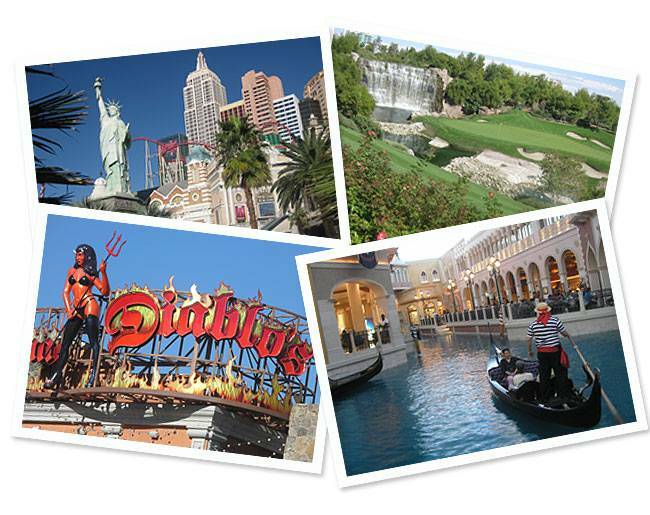 Whether you love or hate Vegas, share your experience. 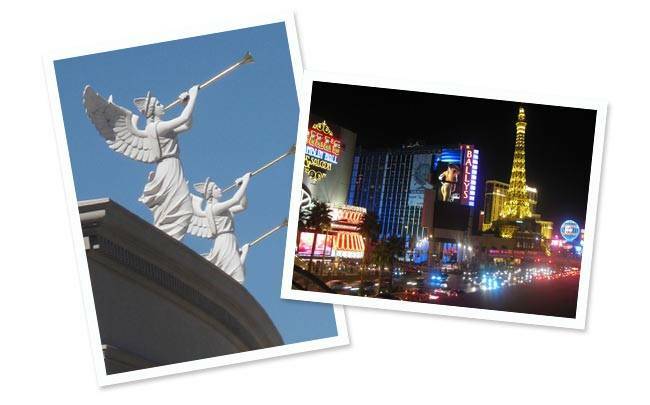 I would love to hear everything (that can appear in print): Viva Las Vegas!